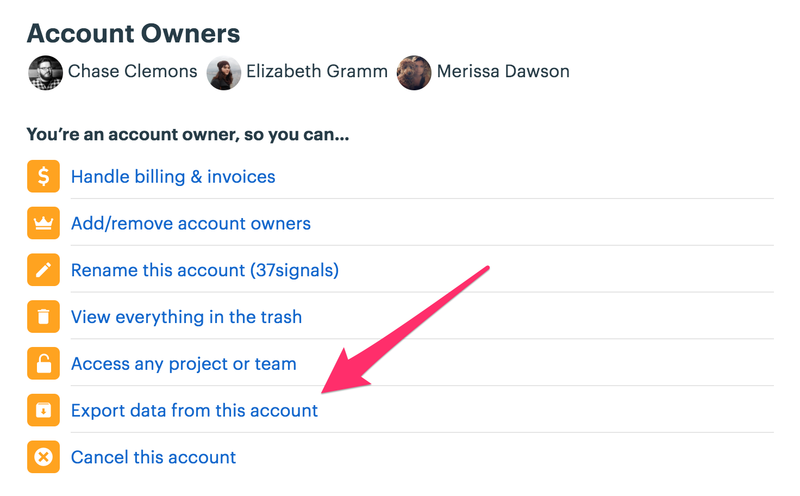 The account owner can create an HTML export of Basecamp data any time. Whether you just want to download an export of your latest Project, or all of them, this is the place to do it. To start, click Adminland on the top right of the Home page right beneath your avatar. Here you'll get a list of all the active and archived Teams and Projects on your account—even those you haven't been added to. Just check off the ones you'd like to export, and click Export my data. Putting together your export can take a while, so please be patient. Don't worry though, we'll email you as soon as it's ready for you. 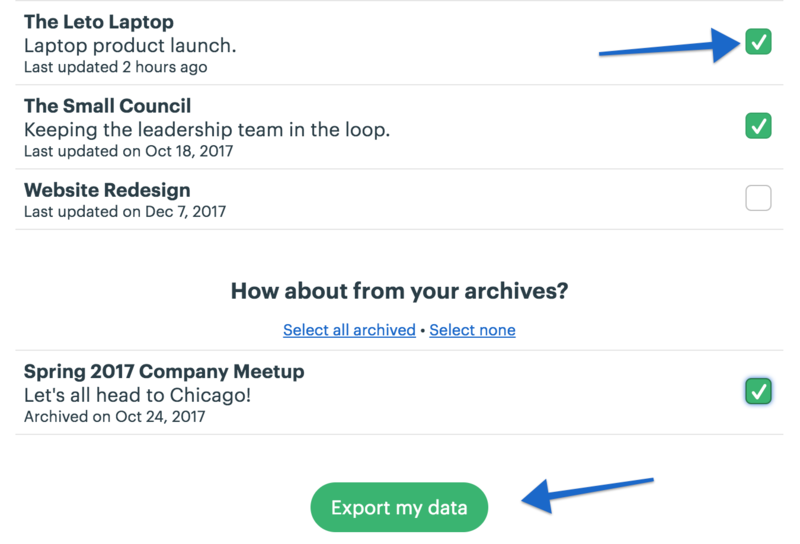 Once you've downloaded your export, you'll be able to open it up on any computer and click around just like a website. Not seeing the export option? That means you're not an account owner. Contact one of your account owners listed in Adminland. They'll be able to export data for you.